李娜, 范海梅, 许鹏, 叶属峰. BP神经网络模型在象山港水环境承载力研究中的应用[J]. 上海海洋大学学报, 2019, 28(1): 125-133. LI Na, FAN Haimei, XU Peng, YE Shufeng. Application of BP neural network model in water environmental carrying capacity research of Xiangshan Bay[J]. Journal of Shanghai Ocean University, 2019, 28(1): 125-133. 黄秀清, 叶属峰. 象山港电厂温排水温升的监测及影响评估[M]. 北京: 海洋出版社, 2014. HUANG X Q, YE S F. Monitoring and influence assessment of the temperature rise caused by the thermal discharge of the power plants in Xiangshan Bay[M]. Beijing: China Ocean Press, 2014. 张丽旭, 蒋晓山, 蔡燕红, 等. 近4年来象山港赤潮监控区水质状况综合评价[J]. 海洋湖沼通报, 2007(4): 98-103. 王俭, 孙铁珩, 李培军, 等. 环境承载力研究进展[J]. 应用生态学报, 2005, 16(4): 768-772. 王俭, 孙铁珩, 李培军, 等. 基于人工神经网络的区域水环境承载能力评价模型及其应用[J]. 生态系杂志, 2007, 26(1): 139-144. WANG J, SUN T H, LI P J, et al. Evaluation model of regional water environment carrying capacity based on artificial neural network and its application in Liaoning Province[J]. Chinese Journal of Applied Ecology, 2007, 26(1): 139-144. 汪恕诚. 水环境承载能力分析与调控[J]. 中国水利, 2001(11): 9-12. 廖文根, 彭静, 何少苓. 水环境承载力及其评价体系探讨[J]. 中国水利水电科学研究院学报, 2002, 6(1): 1-8. LIAO W G, PENG J, HE S L. Discussion on water environmental carrying capacity and its rating system[J]. Journal of China Institute of Water Resources and Hydropower Research, 2002, 6(1): 1-8. 马文敏, 李淑霞, 康金虎. 西北干旱区域城市水环境承载力分析方法研究进展[J]. 宁夏农学院学报, 2002, 23(4): 68-70. 李清龙, 王路光, 张焕帧, 等. 水环境承载力理论研究与展望[J]. 地理与地理信息科学, 2004, 20(1): 87-89. 崔树彬. 河流水环境承载力及其定量化研究[J]. 水问题论坛, 2003, 38(1): 32-39. CUI S B. Study on river water environment carrying capacity and its quantification[J]. Water Problem Forum, 2003, 38(1): 32-39. 候丽敏, 岳强, 王彤. 我国水环境承载力研究进展与展望[J]. 环境保护科学, 2015, 41(4): 104-108. 曾维华, 薛英岚, 贾紫牧. 水环境承载力评价技术方法体系建设与实证研究[J]. 环境保护, 2017(24): 17-24. ZENG W H, XUE Y L, JIA Z M. Technical method system of water environment carrying capacity evaluation and empirical research[J]. Environmental Protection, 2017(24): 17-24. 纪桂霞, 李培红. 水环境质量评价的人工神经网络模型及应用[J]. 华北水利水电学院学报, 1999, 20(1): 60-62. JI G X, LI P H. Artificial neural model for environmental quality assessment and its application[J]. Journal of North China Institute of Water Conservancy and Hydroelectric Power, 1999, 20(1): 60-62. 杨红, 李曰嵩. 长江口水质人工神经网络模型的建立及现状评价[J]. 上海水产大学学报, 2002, 11(1): 31-36. YANG H, LI Y S. Comprehensive assessment of water quality of Changjiang Estuary based on artificial neural networks[J]. Journal of Shanghai Fisheries University, 2002, 11(1): 31-36. 余金龙, 尹亮, 鲍广强, 等. 基于BP神经网络的腾格里湖水环境承载力研究[J]. 中国农村水利水电, 2017(11): 83-93. 丛爽. 面向MATLAB工具箱的神经网络理论与应用[M]. 合肥: 中国科学技术大学出版社, 1998. 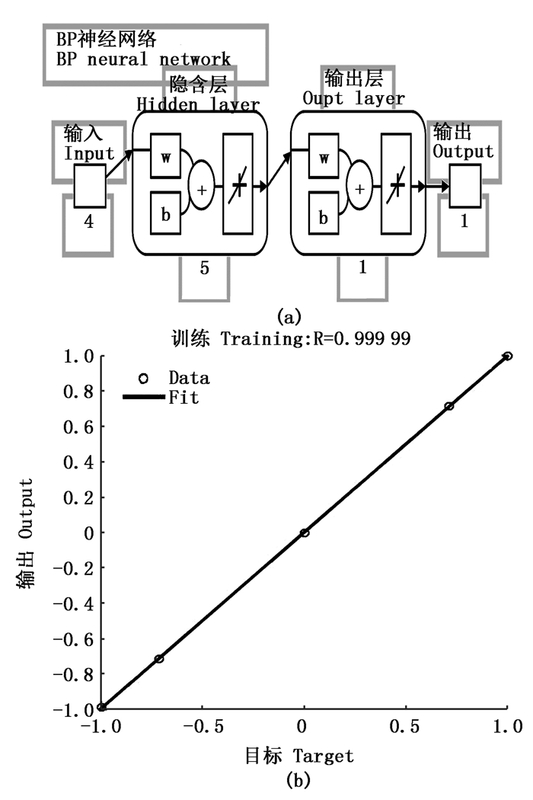 CONG S. Neural network theory and application for MATLB toolbox[M]. Hefei: University of Science and Technology of China Press, 1998. 楼文高. BP神经网络模型在水环境质量综合评价应用中的一些问题[J]. 水产学报, 2002, 26(1): 90-96. LOU W G. Some aspects on application of BP neural network to comprehensive assessment of water environmental quality[J]. Journal of Fisheries of China, 2002, 26(1): 90-96. 孙家文, 黄杰, 于永海, 等. BP神经网络平衡岬湾岸线形态模型及其应用研究[J]. 海洋环境科学, 2018, 37(1): 143-150. SUN J W, HUANG J, YU Y H, et al. Exploration and application of the static equilibrium headland-bay plane curve shape rules based on BP neural network[J]. Marine Environmental Science, 2018, 37(1): 143-150. 陈鹏飞, 王丽学, 李爱迪, 等. 基于灰色关联度与BP神经网络的清河水库总氮浓度预测模型[J]. 水电能源科学, 2018, 36(7): 40-43. CHEN P F, WANG L X, LI A D, et al. 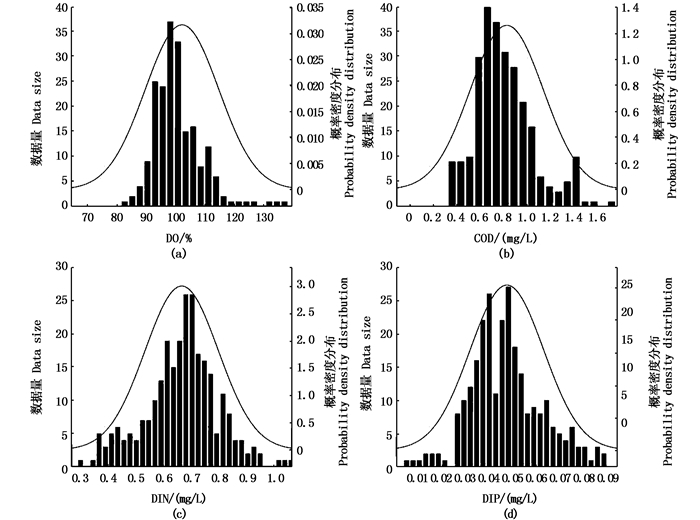 Prediction model of total nitrogen concentration in Qinghe Reservoir based on grey relational grade and BP neural network[J]. Water Resources and Power, 2018, 36(7): 40-43. SU X H, JIN F J, YANG Z Q, et al. Red tide forecasting model based on BP neural network in Fujian sea area[J]. Journal of Fisheries of China, 2017, 41(11): 1744-1755. 王坤, 万哲慧, 冯孙林, 等. 基于BP神经网络模型在珊溪水库水华预测中的应用[J]. 四川环境, 2017, 37(1): 39-43. WANG K, WAN Z H, FENG S L, et al. 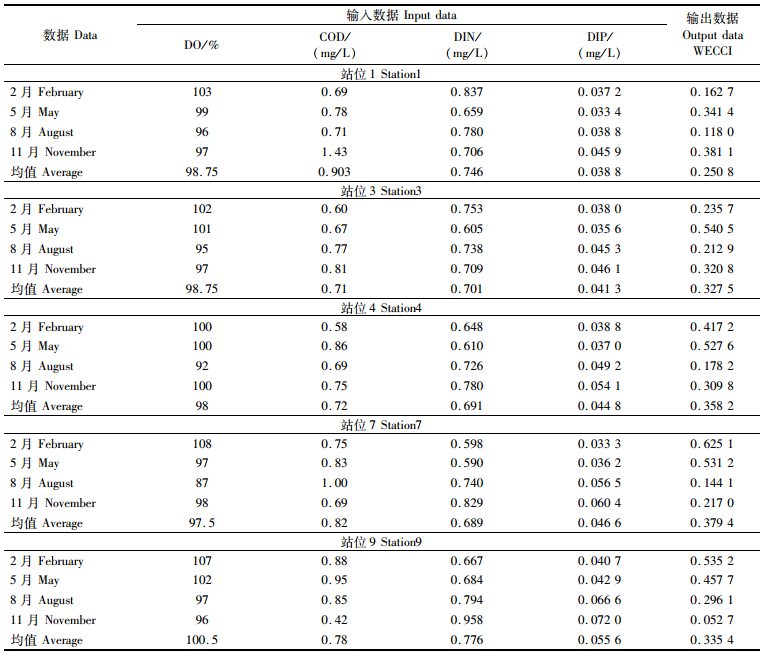 The application of BP neural network in forecasting algal blooms of Shanxi Reservoir[J]. Sichuan Environment, 2017, 37(1): 39-41. 张硕, 李莉, 陈新军. 基于海表温因子的太平洋褶柔鱼冬生群资源丰度预测模型比较[J]. 水产学报, 2018, 42(5): 704-710. ZHANG S, LI L, CHEN X J. A comparative study on forecasting model of the stock abundance index for the winter-spawning cohort of Todarodes pacificus in the Pacific Ocean based on the factor of SST[J]. Journal of Fisheries of China, 2018, 42(5): 704-710. 刘增良, 刘有才. 模糊逻辑与神经网络-理论研究与探索[M]. 北京: 北京航空航天大学出版社, 1996. LIU Z L, LIU Y C. Fuzzy logic and neural networks-theoretical research and exploration[M]. Beijing: Beijing University of Aeronautics and Astronautics Press, 1996. 胡守仁, 余少波, 戴葵. 神经网络理论[M]. 北京: 国防科技大学出版社, 1993. HU S R, YU S B, DAI K. Neural network theory[M]. Beijing: National University of Defense Technology Press, 1993. 黄秀清, 王金辉, 蒋晓山. 象山港海洋环境容量及污染物总量控制研究[M]. 北京: 海洋出版社, 2008. HUANG X Q, WANG J H, JIANG X S. Study on marine environmental capacity and total amount control of pollutants in Xiangshan Bay[M]. Beijing: China Ocean Press, 2008. Abstract: In order to study the water environmental carrying capacity (WECC) of Xiangshan Bay in recent years, the thresholds of the water quality parameters DO, COD, DIN and DIP were obtained according to the statistics of Xiangshan Bay from 2010 to 2013. Then BP neural network technology was applied to establish a WECC model of Xiangshan Bay. The input of the model are the monitoring data of DO, COD, DIN and DIP. The output of the model was the Water Environmental Carrying Capacity Index (WECCI). 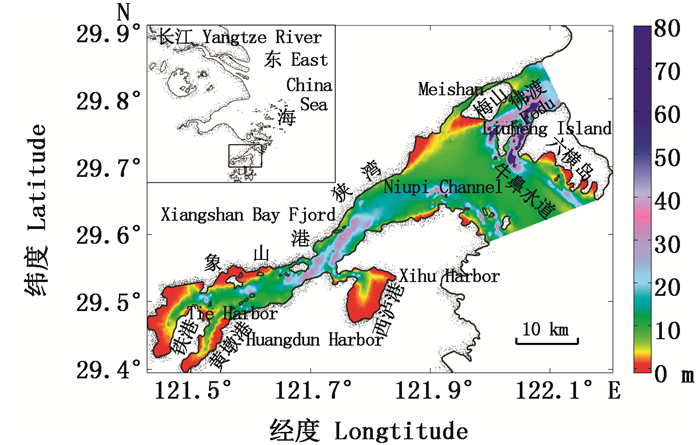 The model was applied in the study of the WECC of Xiangshan Bay in the four seasons of 2014. 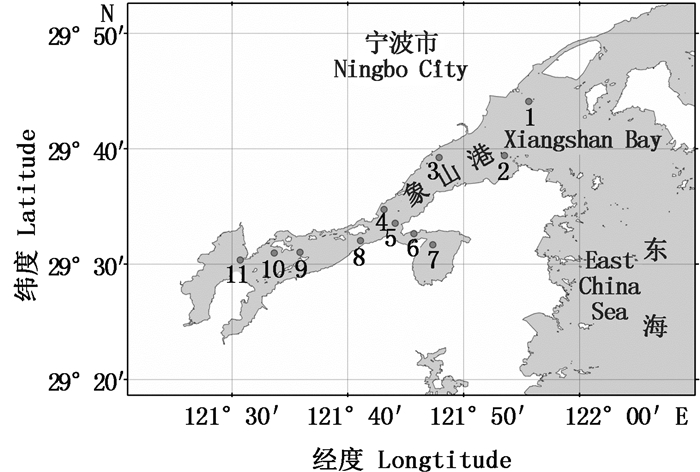 The results show that:the seasonal-averaged WECCI of Xiangshan Bay in 2014 is always bellow 0.4, so the WECC of Xiangshan Bay is not ideal; The WECC of Xiangshan Bay is higher in the inshore than offshore area; The WECC is low all through the year in the bay mouth, influenced by the offshore water; The seasonal variation of WECC is complicated in the inner bay, and it is mainly locally influenced; The WECC in the central bay is high in spring, and low in summer, which is influenced by biological activity; The structure of BP neural network is simple, and the results are intuitive and reliable. 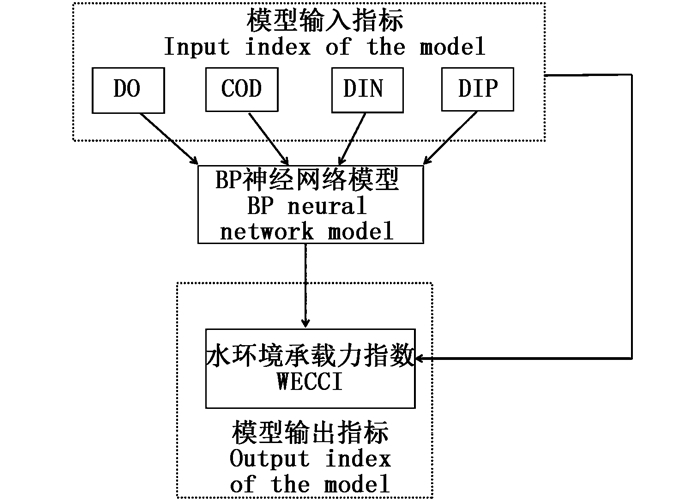 Therefore, BP neural network could be used in the study of the WECC of Xiangshan Bay.